HELLO DAHLINGS! 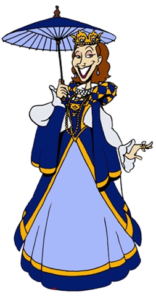 IT'S DUCHESS DELIZA! Plans are underway for our 31st season of raucous revelry! I shall be collecting information about what is in the works for 2019 as well as special VILLAGE HAPPENINGS. You know I have my ears open and will be updating information continually. February 9 & 10 ~ Opening Weekend! February 16, 17 & 18 ~ Regal Royals, Monarch Monday – Fiesta Renaissance! February 23 & 24 ~ Time Traveler Weekend! March 2 & 3 ~ Pirate Invasion! March 9 & 10 ~ Commedia Dell’Arte Weekend! March 16 & 17 ~ Celtic Weekend! March 23 & 24 ~ Fairytale Fynery & Fantasy Weekend! March 30 & 31 ~ Final Huzzah!